Is Condominio Don Roberto the right expat community for you? 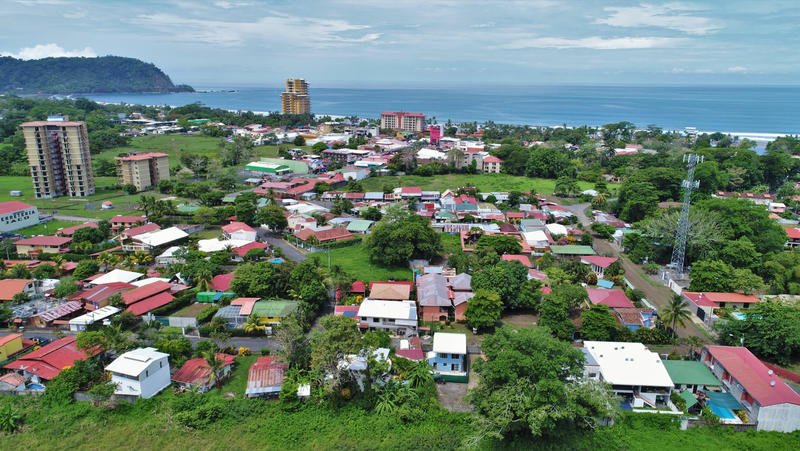 Condominio Don Roberto is located on the first entry road to Jaco Beach, Costa Rica. Condominio Don Roberto is a family friendly complex with several Costa Rican style condominiums. The condos vary in size and style and have a front door porch. Don Roberto is a gated community with 24 hour security, parking, green areas and large pool. Condominium Don Roberto is close to the beach of Jaco and within a short walk you find yourself overlooking the Pacific Ocean. Jaco center is nearby with all its amenities such as supermarkets, restaurants, bars and shops. Condominiums Hannia is located in the center of Jaco, Costa Rica, right behind the city park. Hannia condominiums is a gated community with several one level or two level condominiums. The complex offers security, parking and has a swimming pool with lounge chairs. Hannia condominiums is located 150 meters from the beach. Jaco beach is well known for its waves and surfing is a popular activity. Condominiums Hannia is right in the middle of Jaco, which is a vibrant town, and you are surrounded by restaurants, bars, shops and a movie theatre. If you are looking for condominiums that are for sale in Jaco or real estate in Costa Rica feel free to contact our REMAX Oceanside office.